I thought I had packed it…. I KNEW I had packed it…. but there we were freshly moved to England and my best laid plans were already going a rye. I had fully intended to bring one of my childhood favorite books to read to the kids. I had so carefully laid aside my ripped cover, yellow paged, dog eared copy of this Eric Knight classic to pack and now I had gone off without it. I had dreams of reading it aloud to the kids, fireside during the long, dark, cold winter evenings. After all here we were in County Durham, neighbor to County Yorkshire, setting of my beloved childhood story. Nevermind, I resigned myself to just pick up a copy at the local library. Later, after fruitlessly searching the libraries in two counties, I could not produce a single copy. We saw the pit (Colliery) village, walked their streets, visited their homes, sat by their fires and played in their school yards. What rich memories those are! How alive and vivid this story set in both England’s Yorkshire and the Scottish Highlands seems to us now. The children said not a word as I read. All of us stared into the fire reliving the beautiful, rich memories. With all of our minds miles and mile away. Lassie Come Home was first published as a short story in the Saturday Evening Post. In 1940 the immensely popular story was released as a book and a short two years later made into a film by Goldwin-Mayer. 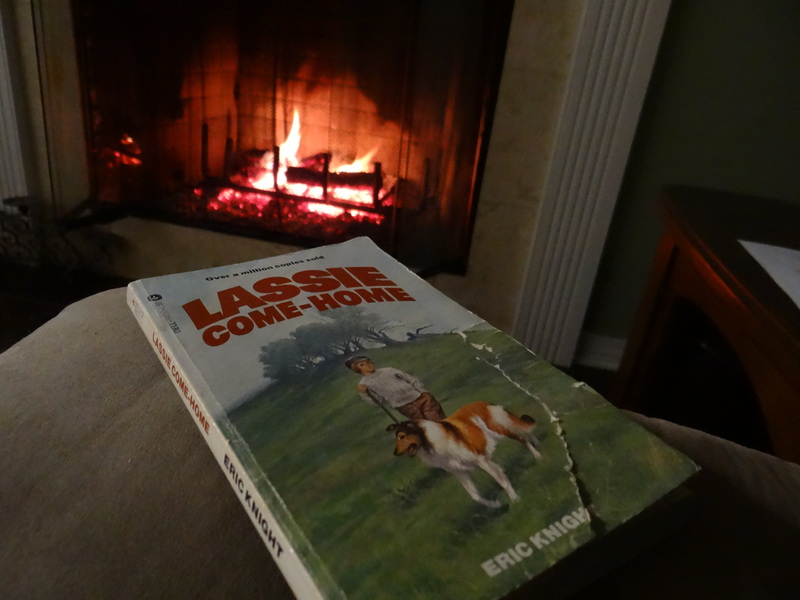 Copies of Lassie Come Home can be found in twenty-four languages. What wonderful memories you have made and are making with your family!! !